TIP: To quickly find time punch cards, type your card form number in the Search Box (upper right corner) and click GO! 10-700091 Time Cards (box of 1000) for fully automatic print positioning Time Clocks. 3 13/16" x 7", 1 Side Green Ink. Replaces: Simplex 1950-9120, Tops 1266, and 1313CCG. 400 Time Cards (box of 1000) for consecutively printing Time Clocks. 4" x 9", 1 Side Green Ink. 400-2 Time Cards (box of 1000) for consecutively printing Time Clocks. 4" x 9", 2 Sides Green Ink (front) and Red Ink (back). 5508 Time Cards (box of 1000) for fully automatic print positioning Time Clocks. 3 7/8" x 7", 1 Side Green Ink. 5525 Time Cards (box of 1000) for semi-automatic and fully automatic print positioning Time Clocks. 3 3/8" x 5 1/2", 1 sided card - Front: Regular Hours, Break Hours, Over and Extra Time, and Wages Paid. 84151 Time Cards (box of 1000) for consecutively printing Time Clocks. 4 3/16" x 9", 1 Side Green Ink. 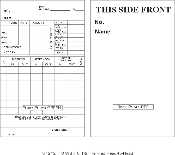 84171 Time Cards (box of 1000) for consecutively printing Time Clocks. 3 1/4" x 9", 1 Side Green Ink. 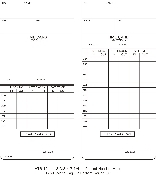 84171 Time Cards (box of 1000) for consecutively printing Time Clocks. 3 1/4" x 9", 1 Side Green Ink, Canary Yellow Stock. 85110 Time Cards (box of 1000) for semi-automatic and fully automatic print positioning Time Clocks. 3 3/8" x 5 1/2", 1 sided card - Front: Regular Hours, Break Hours, and Over and Extra Time. 85230 Time Cards (box of 1000) for semi-automatic and fully automatic print positioning Time Clocks. 3 3/8" x 7", 1 Side Green Ink. 85231 Time Cards (box of 1000) for semi-automatic and fully automatic print positioning Time Clocks. 3 3/8" x 7", 1 Side Green Ink. ATR121 ( 09-9110-000) Time Cards (pack of 250) for Acroprint ATR120 Time Clock. Weekly on the front; bi-weekly on the back. C3000/4070 Time Cards with Tip Reporting (box of 1000) for consecutively printing Time Clocks. 3 3/8" x 8 1/4", 1 Side Green Ink. T111 (09-1000-001) Time Cards (pack of 250) for Acroprint/Timex T100 Time Clocks. Weekly on the front; bi-weekly on the back.